Facial detection can be blocked by changing the contrast of and spatial relationship between key facial features. So, though growing a beard might throw a casual human glance off, the growing process of computerized recognition is rarely tricked, because it focuses primarily on the T made by your eyes and the bridge of your nose. 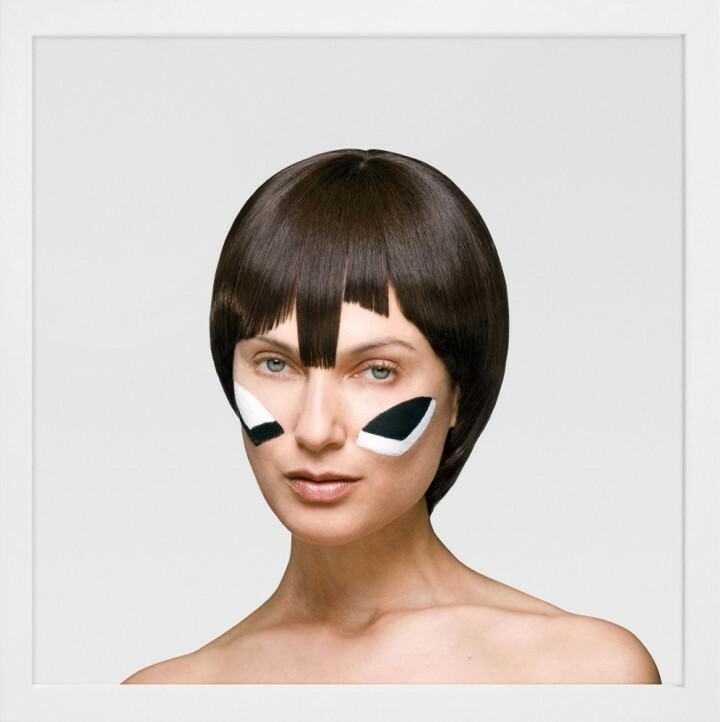 You’d be better served by painting on your cheekbones like above, a discovery that was part of a masters thesis from artist and photographer Adam Harvey. Harvey does research on tricking facial detection technology. That discovery was among the coolest lessons I took from moderating a Q&A seminar hosted by the Academy of Natural Sciences as part of the kickoff of the Philadelphia Science Festival. Called Hiding in Plain Sight, it was also one of a number of events done in partnership with the second annual Philly Tech Week, which I’m helping to organize this week. There were others — Harvey noted that he focuses on facial detection, instead of facial recognition, because the former has to happen first. Roughly 40 people listened, if only in part, to Harvey’s compelling presentation and his answers to questions from me and the audience, seated in a crowded Frankford Hall last Friday. The major kickoff event followed. Facial recognition systems aren’t science fiction. From social media to law enforcement, they’re used in Web applications and surveillance operations. Learn about the implications — positive and negative — for personal privacy, and discover what one techie is working that will allow people to hide from them. Is this art or practice? Do art and let the money follow, not the other way around, he said. So, while there are practical applications, he’s mostly interested in the art of this work. Terrify us with the most pessimistic vision of what this could mean in the future. It’s easy to think of obtrusive advertising that sells products to us wherever we are outside by detecting our faces and gaining context from social networks, he said. Excite us with the most optimistic vision of what this could mean in the future. There are powerful opportunities around efficiency, context, relevance and personalization. What about facial recognition in five years will most surprise us? The more common use of drones to offer crowd control by way of scanning.